Many have long suspected that a certain subset of young millennials who were too little to remember the Bill Clinton presidency and too busy turning Justin Bieber into the horrible human he is during Hillary Clinton’s Secretary of State tenure don’t actually know much about Hillary. 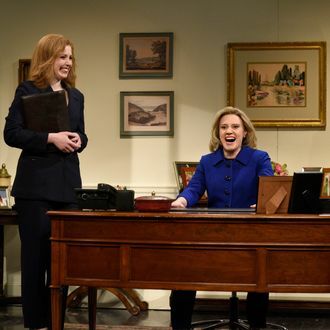 The Times finally received official confirmation on that yesterday, when they spoke to a 20-year-old woman who said her “only real impression of Mrs. Clinton came from Saturday Night Live.” Same, girl. Same.